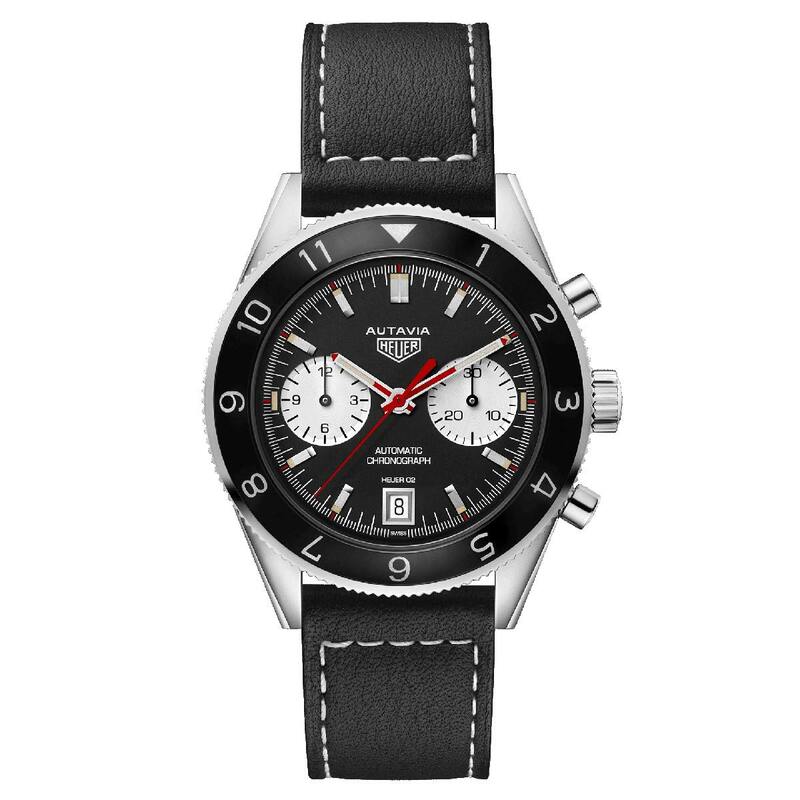 After the Carrera Heuer 02 Fragment Special Edition that we presented here, there is another limited edition from TAG Heuer: the Autavia 1972. 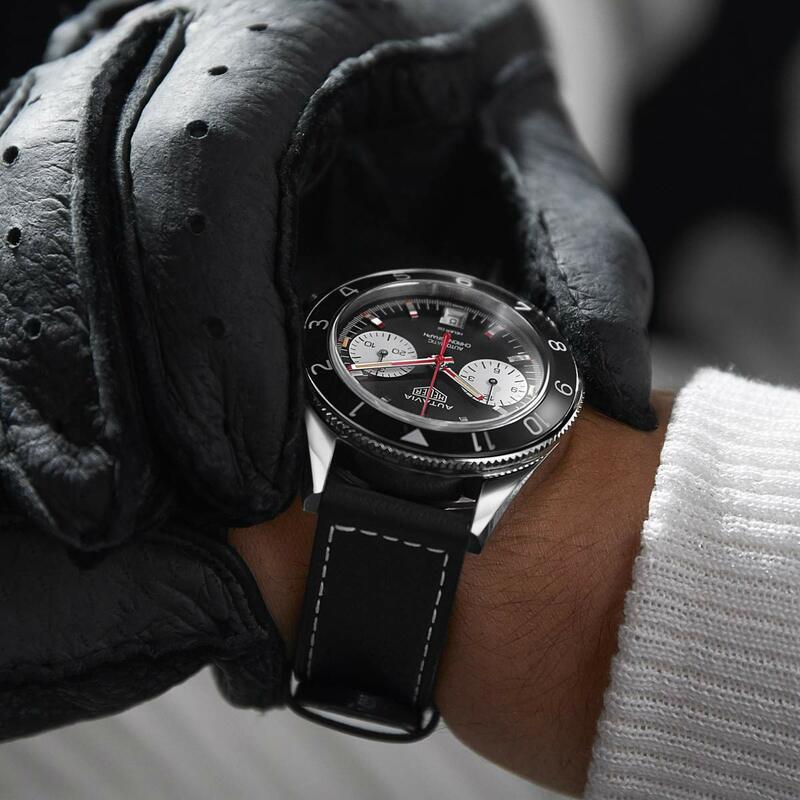 This US-only edition takes inspiration from the colour scheme of a 1972 classic - the so-called Viceroy-Heuer - with red dial highlights and a black calfskin strap contributing to the dynamic look. 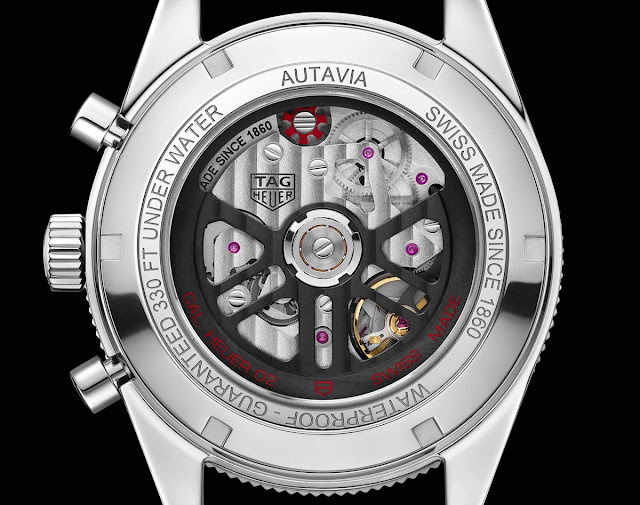 The most evident difference between this special edition and the standard Autavia stands in the dial layout with only two counters instead of three. In fact, the Autavia 1972 makes without the running seconds subdial at 6 o’clock while maintaining the small window for the date. Water resistant to 100 metres / 300 feet, the 42 mm stainless steel cases is equipped with a bidirectional notched bezel with 12-hour graduation. 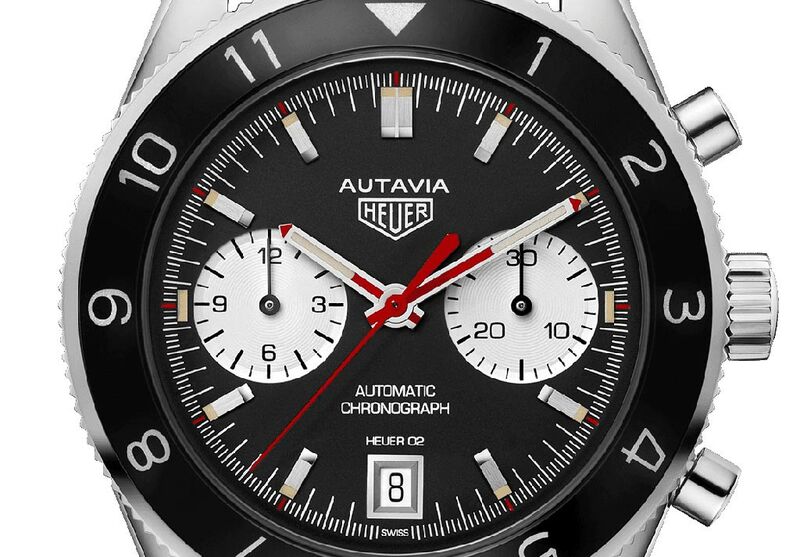 The Autavia 1972 shows many vintage-inspired details but the inscription "Heuer-02" above the date aperture makes reference to a major TAG Heuer innovations of the last few years: its proprietary Heuer-02 chronograph calibre, with 4 Hz frequency (28,800 vph) and a power reserve of 75 hours. Its column wheel and the high-performance rotor are visible through the sapphire crystal case back. 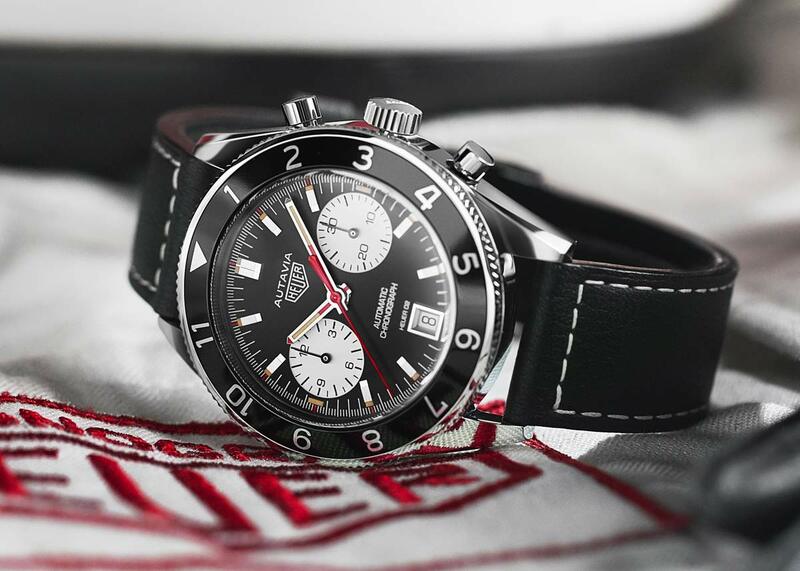 This is my favorite new Autavia. I prefer two counters instead of three and the red accents are perfect. Will this version be available also outside USA? I think you should be able to buy it even outside US through some resellers, maybe at a premium.